The night before, in a bowl, mix together the poolish until it forms a batter. Cover with plastic wrap and leave out overnight. The next day, in mixer, combine 2 cups(+/-) of the flour, yeast, sugar, onion soup mix. Mix in the poolish, milk, egg, butter, and Parmesan cheese. Add more flour a quarter cup at a time until the dough forms, one that is dry enough that you can hand knead yet moist enough that it is still tacky to the touch. When it comes away clean from the sides of your mixing bowl, you’ve got the right amount of flour. Knead the dough in mixer with dough hook for approximately 5 minutes. Return the dough to a greased bowl, cover with plastic, and allow to rise until doubled in size, approximately 90 minutes. 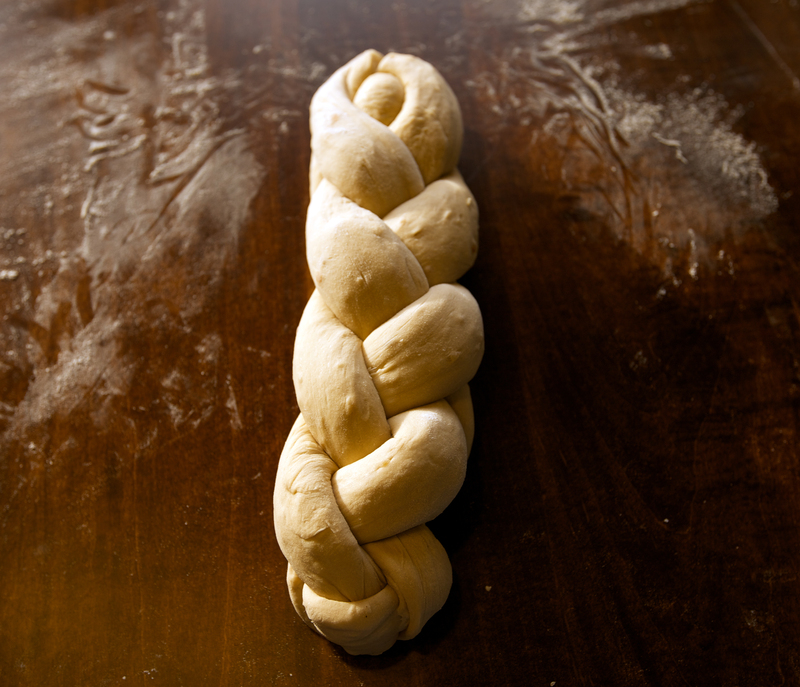 Remove the dough from the bowl and shape it however you like. I used a four strand braid for this one. 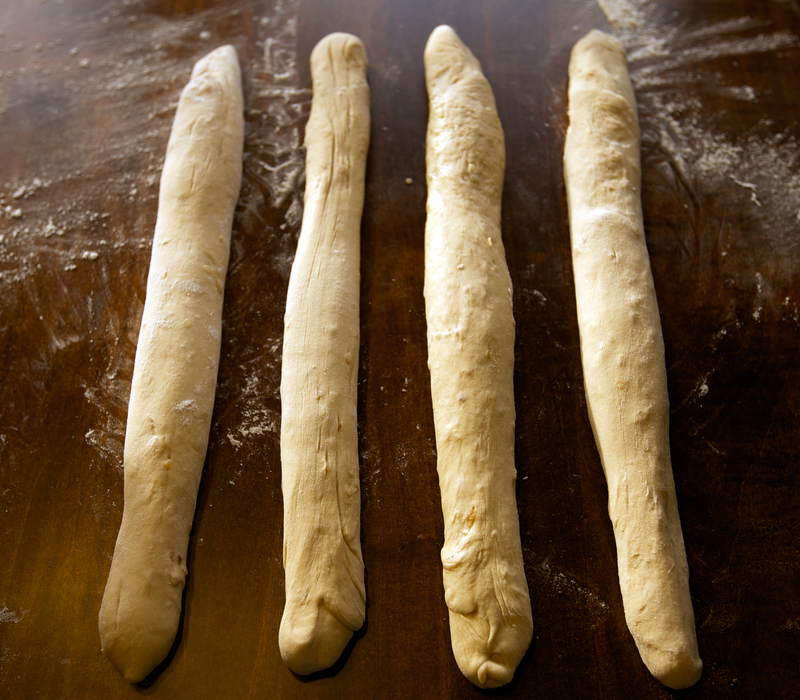 Note: A four strand loaf is always — 4 over 2, 1 over 3 and 2 over 3. Cover with greased plastic wrap and let rise about 45 minutes. Preheat oven to 450. Before baking, brush with egg wash.
Bake at 450 for 5 minutes, then 375 for about 40 minutes. I always use a silpat mat in my pan when baking a bread so the bottom doesn’t burn, but a baking stone will do just fine also. 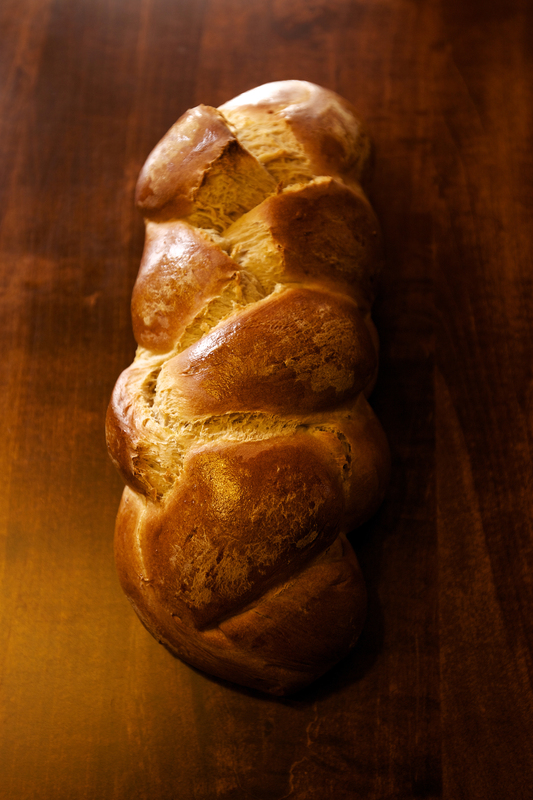 This entry was posted in Uncategorized and tagged braided, bread, onion, onion bread. Bookmark the permalink.